Metro Property Development's fourth release at Newstead Central, Capri, is 61 per cent sold only two weeks after it was launched. The company said that 127 of the 207 apartments had been sold, valued at more than $74 million out of the $122 million planned. Metro Marketing Director Ken Woodley said demand has been particularly strong from interstate and overseas investors who were taking advantage of Brisbane’s lower prices. “Investors have started to shift their focus to Brisbane where price growth for apartments has been relatively flat over the past 12 months with a median price still sitting around $382,000," Mr Woodley said. "This is compared to Sydney and Melbourne where traditionally-higher median prices have accelerated this year,” Mr Woodley said. 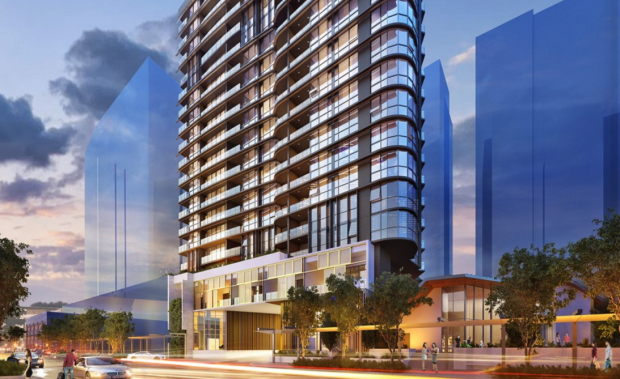 The launch of Capri at Newstead Central comes off the back of Metro’s launch of Brisbane Casino Towers earlier in the year when more than 70% of the project sold out within the first 72 hours. According to Mr Woodley, the recently released final plans for Echo Entertainment’s Queens Wharf Precinct development had significantly boosted Brisbane’s credentials as a key property investment market. “The spotlight is now firmly on Brisbane, both domestically and internationally, largely in part to the attention the new Queens Wharf development has gained,” Mr Woodley said. Across Brisbane, Metro has 1,707 apartments across seven projects currently under construction of which more than 98% are unconditionally sold. Metro will complete construction of four of these towers – Aqua, Canterbury Towers, Newstead Towers and Broadway on Ann – between April and May 2016 with residents moving in soon after.